Well, today I recieved my first ReadItSwapIt book.. 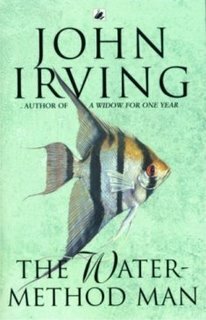 The Water-Method Man by John Irving. I love John Irving's books, or at least the ones I've read. I love his quirky characters and the downright bizarre situations they find themselves in, and I hope this one won't disappoint either. Actually, come to think of it, his latest Until I Find You didn't hold my interest.. well, we'll see.